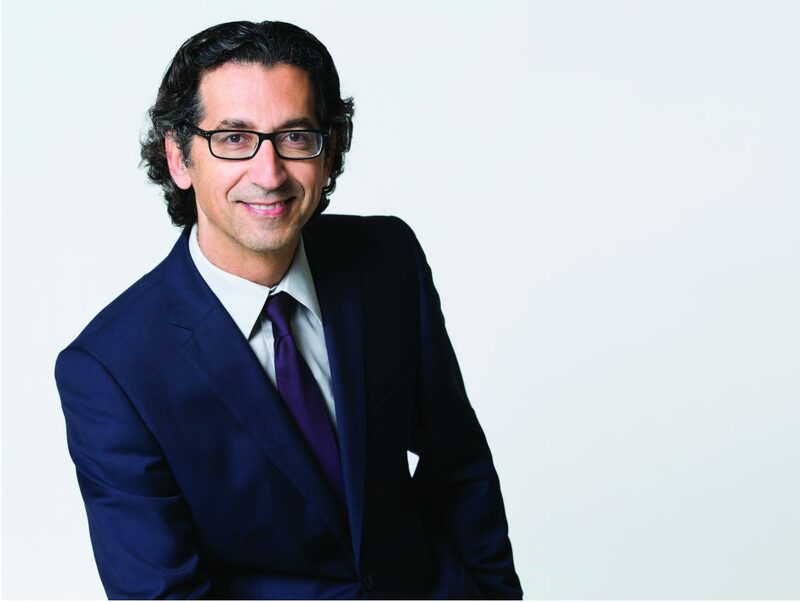 Sagiv (51) started his career in L’Oréal Israel as the manager of the Professional Products Division and the manager of the Consumer Products Division. Following that, he embarked on an international track and served as the General Manager of the Consumer Products Division of L’Oréal Mexico in an emerging market, moved to a mature European market in the position of L’Oréal Finland CEO and a senior management member in the Nordic countries, then prior to returning to Israel, Sagiv served as L’Oréal Greece and Cyprus CEO. 3 years ago, he was appointed CEO of L’Oréal Israel. 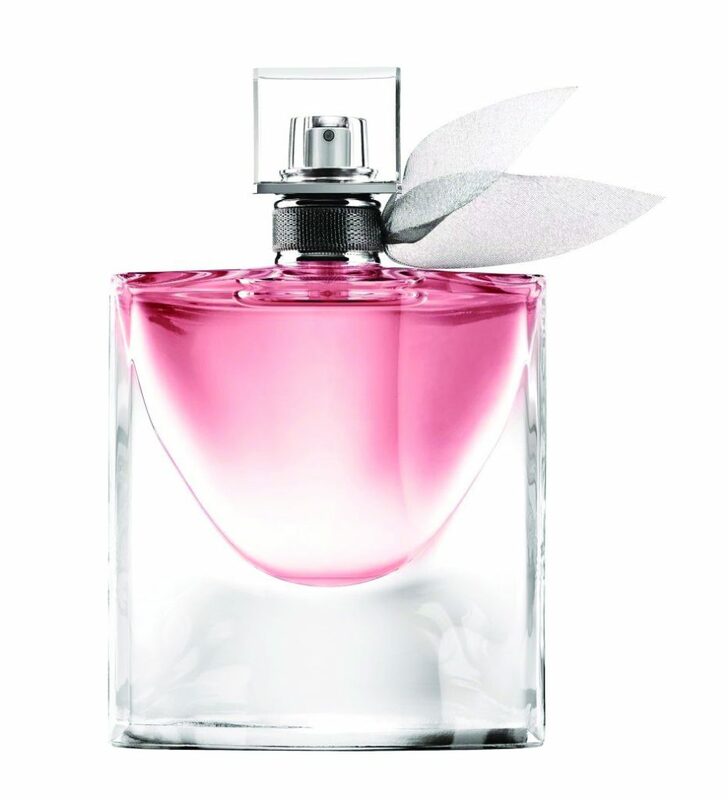 L’Oréal Israel, the cosmetics giant, is a subsidiary of L’Oréal S.A. International, marketing 18 international brands in Israel. L’Oréal Israel is growing rapidly and in 2017 the Company’s sales turnover amounted to over half a billion NIS. The Company in Israel has four business divisions, a manufacturing plant and a logistics center in Caesarea. The business model is based on building powerful brands specializing in each of the distribution channels: chain stores, pharmacies, Pharm chain stores and private stores. The portfolio of the brands includes, inter alia, the flagship – L’Oréal Paris, Lancôme – the leading luxury cosmetics brand in Israel, the designers brands – Yves Saint Laurent and Giorgio Armani, Maybelline New York – the #1 makeup brand in the USA, Kiehl’s – the skincare brand from New York, La Roche-Posay – the dermo-cosmetic brand which is growing rapidly and the professional hair brands – Kérastase and L’Oréal Professionnel. What are the strategic changes L’Oréal Israel had to undertake in order to continue to lead the industry? “Our marketing strategy is more client-focused, since the consumer is evolving pursuant to a big technological revolution, namely the digital revolution. We adapted the Company’s strategy in line with the changes and the significant transformations around us. First and foremost, the consumer revolution, stemming from the new technologies and from the new digital world in which we are all living. Likewise, there are substantial changes in the distribution channels and in the shopping experience of the consumers. We are operating in broad distribution channels, entering channels that speak directly with the end consumer, examining opportunities in new projects to expand the D2C with the introduction of new brands which will take place already this year. We attribute great importance to maintaining excellent relationships with our partners, the retailers, and believe that together we run marathons not sprints. L’Oréal Israel has shifted gear in the beauty retail field through entering the e-commerce worlds, deeming them as an important growth engine for the Company in the coming decade, since they provide accurate response to the shopping experience, to the service and the personalization that corresponds to the trends and changes in the new consumer behavior in the beauty worlds. The second major change is social and environmental responsibility, the project Sharing Beauty With All that we are pushing forward. 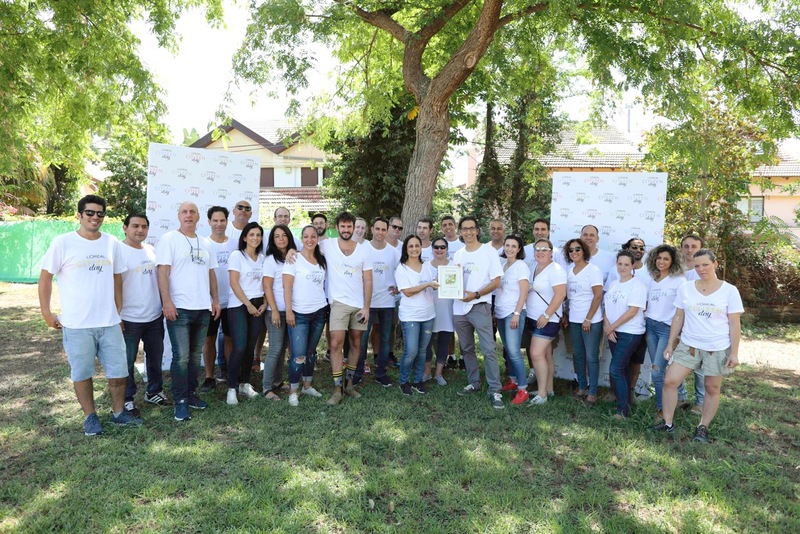 Our plant in Migdal HaEmek is greener with new systems that combine water saving with using clean energy. I believe that for modern companies, creating social value is at least as important as creating economic value for the shareholders. We take active part in the community in which we live, supporting and helping weaker communities, driven by the understanding that all of us together have a positive impact on the world surrounding us. The Citizen Day which is held every year, is a substantial part of the activities we carry out for the benefit of the community in Israel, joining other projects such as “Adopt a Brother/Sister”, a project in which we grant scholarships to students from the Netanya Academic College, who serve as mentors and older siblings to pupils of Ethiopian origin”. According to Sagiv, promoting education within the Ethiopian community constitutes a target for the Company, and so far, more than 270 scholarships have been granted. What about innovation? I assume that R&D is a significant part of the company’s budget. 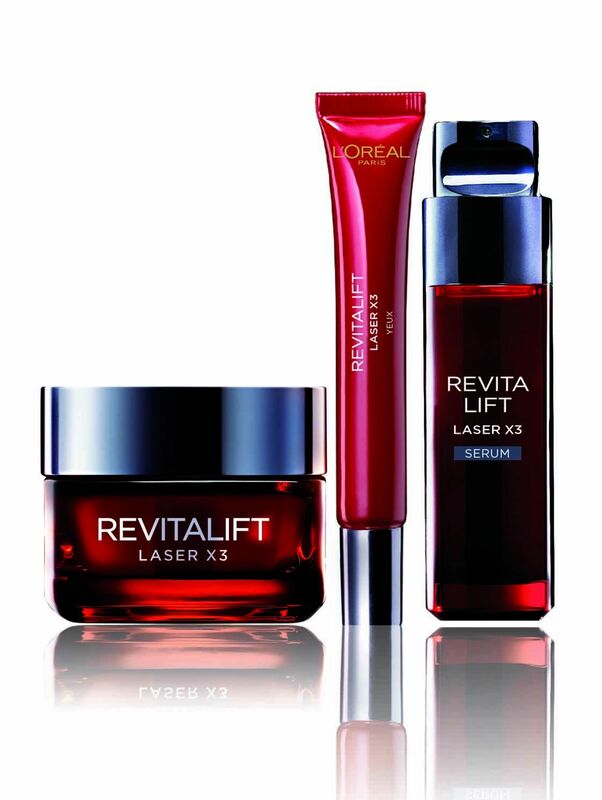 “Innovation has always been a growth engine of L’Oréal and it is part of our DNA. The Company is on the cutting edge of the global market in terms of innovation. In 2017, the Company employed close to 4,000 employees from different scientific disciplines in its R&I deployment, the budget allocated for innovation was 877 million Euros. Every year, the Concern develops hundreds of patents, thousands innovative and ground-breaking formulas, while the consumer is at the forefront throughout the stages of the process. Does the blooming and booming of social networks also influence the race for innovation and the Company’s strategic considerations? “Digital opens up new and exciting horizons for our industry. There is no doubt that the blooming of social networks and the customers’ content consumption have dramatically changed the capabilities of companies and brands to maximize their reach to target audiences and to create tailored messages to wide audiences (Mass Personalization)”, Sagiv says. “In the era of personalization, L’Oréal provides customized solutions, through digital and through its portfolio of brands to every customer, whatever their age, ethnic culture or lifestyle. L’Oréal Israel has placed digital activity at the center of its marketing activity across all its brands and divisions in Israel, and sees it as a main growth engine for the Company in the coming years. We are working to become the Digital Beauty Champion in content creation, engagement, influencers and data management. For example, the selfie culture that resulted in a huge boom to the makeup field, or the female-millennials seeking to learn how to apply makeup correctly, how to take care of their hair, or what are the latest care trends, will watch the ‘How to’ video tutorials on YouTube and will receive accurate guidance by makeup artists, hair designers and additional professionals”. So, each brand has a marketing strategy tailored to its target audience? “Absolutely. We have tailored the communication strategy of the various brands and the way budgets are allocated, all in order to establish a correct and accurate presence in the digital worlds, where our consumers are located. A substantial part of our marketing budgets in Israel is allocated to the digital platforms, and within these investments, the video contents constitute a significant part that will increasingly grow. It is fair to say that millennials switched screens – from television screen to smartphone screen, in fact it is much more than that. In the future we will see more and more customization, precision, shopping behaviors, completely different”. What can you tell us about the employee recruitment process in the Company? Recruiting employees to a company of such magnitude is, no doubt, long and complicated, and then there is the impact of the technological systems that reduce the extent of the recruitment. “It is true that new technological systems are implemented, but ultimately, those that make the difference are the employees and the managers, leading the company to achievements. There is no substitute to talents. One of the ways to identify them is the business simulation “Brandstorm”, the international competition that gives us, in Israel as well, an opportunity to assess and mark promising students with marketing and managerial skills, while they are given the opportunity to join us upon completing their academic studies. In our organizational culture, we believe that every position holder should be given a great responsibility from the earliest stages of his/her career, because responsibility will develop him/her, will challenge him/her and will prepare him/her for the days ahead. One of our goals is to grow talents, those young and promising managers that will embark on an international career track and will return with the knowledge and professionalism enabling them to work in senior management positions in Israel”. Being a market leader requires immense investment on behalf of the employees. How are you coping with it? “In L’Oréal the pace is fast and intensive with high expectations, I have no doubt that the employees need mental toughness and professionalism, mainly during stressful and demanding times, and yet we help the employees to express their full potential, while adding flexibility to the work management and a good balance between their personal lives and their professional activities. It is a great adventure!”.